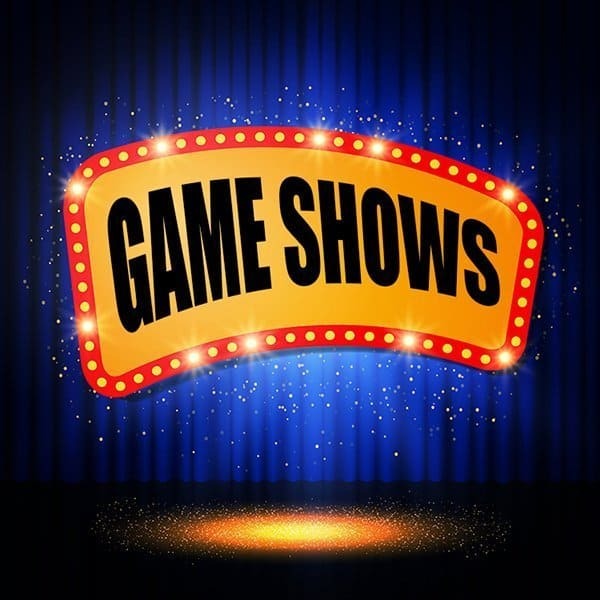 Game Shows are great special events or evening activities. You may want to call it Cabin Feud or Color Feud depending on how you create your teams. I’ve included 33 questions and answers to get you started. This one is my favorite. There are certain things you need to do to keep everything organized and running smoothly. I take the guess work out of it. You can run these challenges like the game show does, but there are better ways. 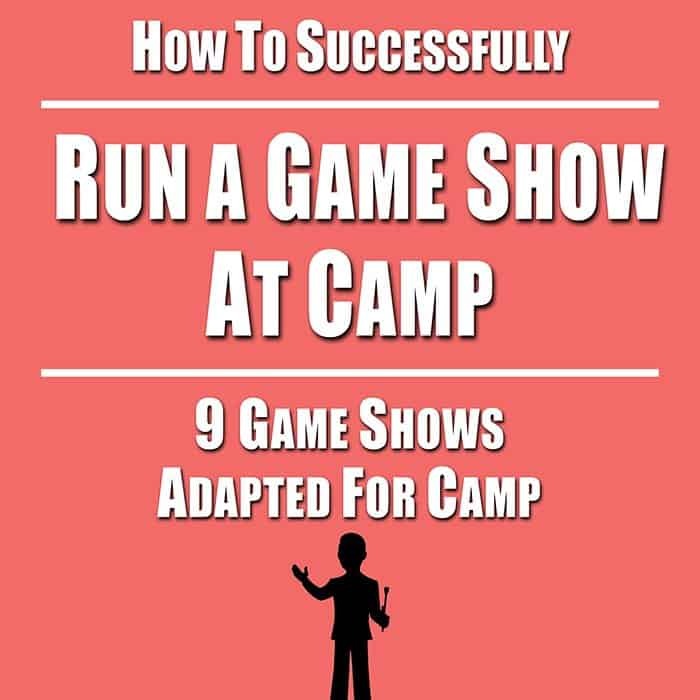 I go over seven versions of how to run a Minute to Win It game show at camp. I have also included 12 of my favorite challenges with instructions and links to YouTube videos that include the “blueprints” and my favorite way of running these games – head to head. 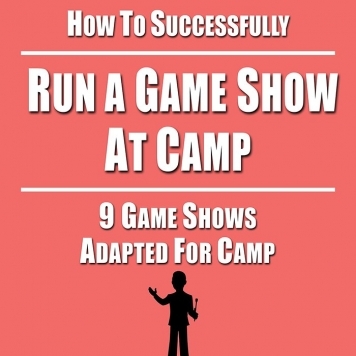 This short lived game show is a great one to do at camp. I explain two ways to run it. I have also include 95 trivia questions for you to use. Based off the game show Are You Smarter Than a 5th Grader, this section of the ebook goes over the best way to run the game show, the three “Saves” a contestant can use, and includes 35 Science questions, 35 Social Study questions, 35 English questions and 35 Math questions all divided by grade level (1st to 5th grades). One of the longest running game show on television, I couldn’t leave Wheel of Fortune off the list. Basically, this game is Hangman, without the gallows and stick figure, but all kids know how to play. I’ll show you how to use a prize wheel or dice as part of the game, and I give you a list of possible categories and prizes. The puzzles will need to come from you, though. Based on the old Hollywood Squares game show, this is one that can be a lot of fun for campers to watch. The more clever and confident your staff “celebrities” are, the better it will turn out. Of course, we couldn’t have the Newlywed Game, but since campers and counselors are “newly met”, this is a perfect chance to see how much counselors got to know their groups and vice versa over the course of the camp session. I’ve included 30 questions to get you started. Can you name that tune, artist or band in 10 seconds? How about in 2 seconds. 10 contestants line up to play 10 quick rounds that will test their music knowledge. Which songs are played is up to you. And, as with any of my resources, you can always email me with any questions you have. Welcome to my Patchwork store. Here you will find all sorts of resources on camp programming, as well as a few other odds and ends. If you have any questions, feel free to email me.